Bottom Line: A perfectly light red-fruit packed wine cocktail spritzer that will be an excellent refresher on a hot summer's day. 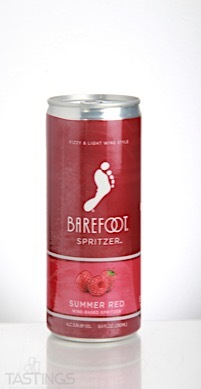 Barefoot Refresh NV Summer Red Spritzer, California rating was calculated by tastings.com to be 90 points out of 100 on 4/9/2018. Please note that MSRP may have changed since the date of our review.